If emission rates continue unchecked, regions of the United States could experience between three and nine additional days per year of unhealthy ozone levels by 2050, according to a new study from the Harvard John A. Paulson School of Engineering and Applied Sciences (SEAS) published in Geophysical Research Letters. “In the coming decades, global climate change will likely cause more heat waves during the summer, which in turn could cause a 70 to 100 percent increase in ozone episodes, depending on the region,” said Lu Shen, first author and graduate student at SEAS. California, the Southwest, and the Northeast would be the most affected, each possibly experiencing up to nine additional days of dangerous ozone levels, with much of the rest of the country experiencing an average increase of 2.3 days. This increase could lead to more respiratory illness with especially dangerous consequences for children, seniors, and people suffering from asthma. While temperature has long been known as an important driver of ozone episodes, it’s been unclear how increasing global temperatures will impact the severity and frequency of surface level ozone. To address this question, Shen and Mickley — with coauthor Eric Gilleland of the National Center for Atmospheric Research (NCAR) — developed a model that used observed relationships between temperature and ozone to predict future ozone episodes. Previous research had not relied so heavily on existing observations, making projections uncertain. Shen and co-authors analyzed ozone-temperature relationships at measurement sites across the US, and found them surprisingly complex. However, at extremely high temperatures — beginning in the mid-90s Fahrenheit — ozone levels at many sites stop rising with temperature. 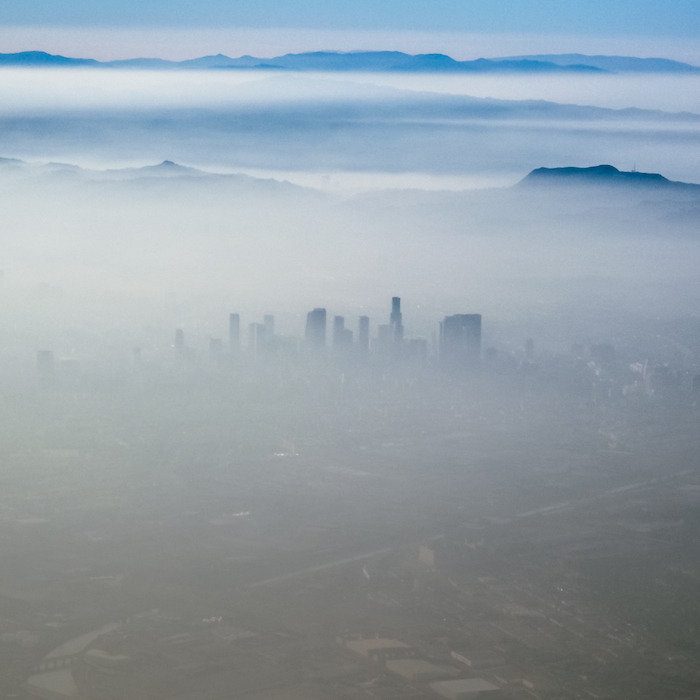 The phenomena, previously observed only in California, is known as ozone suppression. In order to better predict future ozone episodes, the team set out to find evidence of ozone suppression outside of California and test whether or not the phenomena was actually caused by chemistry. They found that 20 percent of measurement sites in the US show ozone suppression at extremely high temperatures. Their results called into question the prevailing view that the phenomenon is caused by complex atmospheric chemistry. This research was supported by the NASA Air Quality Applied Sciences Team and the National Institute of Environmental Health Sciences. Loretta J. Mickley recently received a $700,000 grant from the Environmental Protection Agency for a project to study how climate change will affect trends in dust and smoke on the Earth’s surface over the next several decades. These trends could have significant impacts on air quality. The grant is one of 12 grants EPA is giving to universities nationwide to address current and future challenges to protect air quality from the impacts of climate change. The new funding from the EPA will allow Mickley and her team to investigate the consequences for air quality in the West from future trends in wildfires and dust episodes. Reliable projections of dust levels will improve the capability of the medical community to prepare for changing rates of asthma or coccidioidomycosis (valley fever), a dust-borne disease whose incidence has increased eight-fold since the 1990s. Robust estimates of future trends in smoke episodes will be useful not just to the medical community but also to those responsible for wildfire management. “Taken together, results from this project will better prepare health experts and environmental managers for the challenges of regulating air quality in a changing world,” Mickley said.